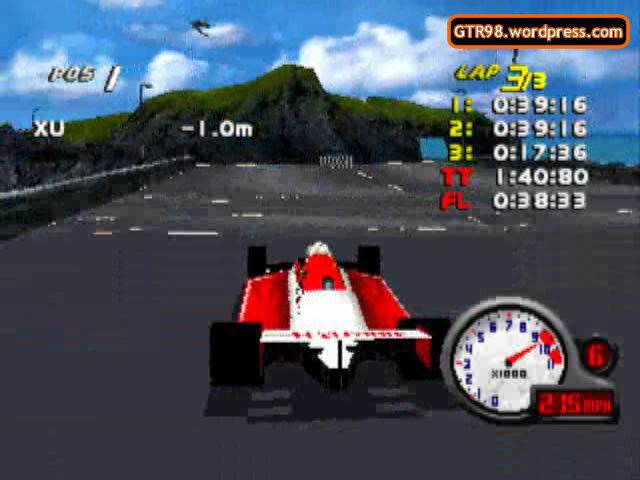 Hong Kong 3 introduces Indy cars in sunny weather. 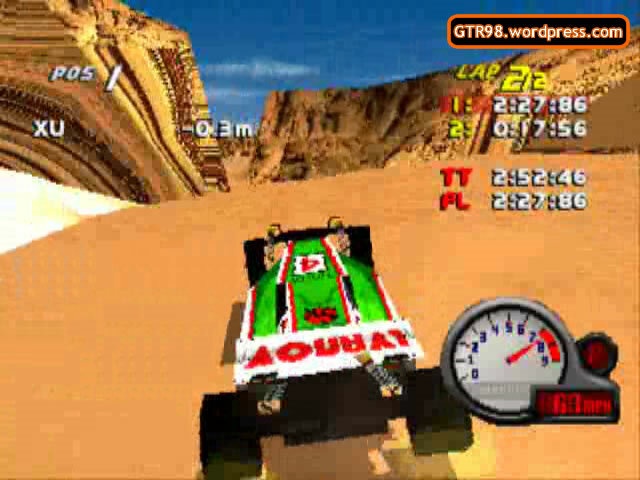 The track is identical to Hong Kong 1, except it is raced in the opposite direction. Egypt 3 lets Buggies onto the route of the bumpy stretch, a 1.5-mile winding trail of bumps which takes about a minute to clear through. The Ramp from Egypt 2 marks the midway point of the stretch. AI Ivanov handles the stretch with superior stability and control, making him a top contender of the race. The archaeological dig is now approached from a more “dangerous” direction, as there is a sneaky, non-deadly Ramp which lets cars bypass the stones by jumping over them. If the Ramp is approached from the wrong angle, cars may be stranded for a while before “turning over” to resume the race. Scotland 3 is changed back to the original direction. 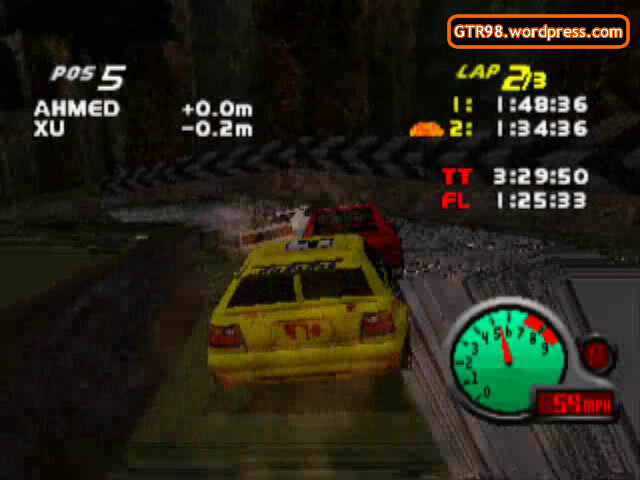 The player is challenged to race in devastating, stormy weather. The three obstacles from Scotland 2 are reused, and the inclement weather becomes a problem for many AI opponents. Roberts is programmed to dominate the first two laps, before slowing down for Rossi in Lap 3. The secret fireball is seen midway of the forest, as seen in the picture. When it is retrieved, all progress gets lost as Scotland 7 opens. Switzerland 3 takes place in a snowy setting, but there isn’t much snow on the track itself. 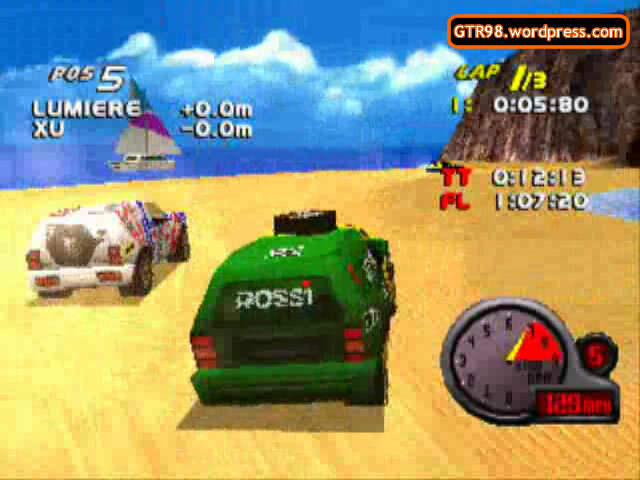 Players are challenged to drive at faster speeds. 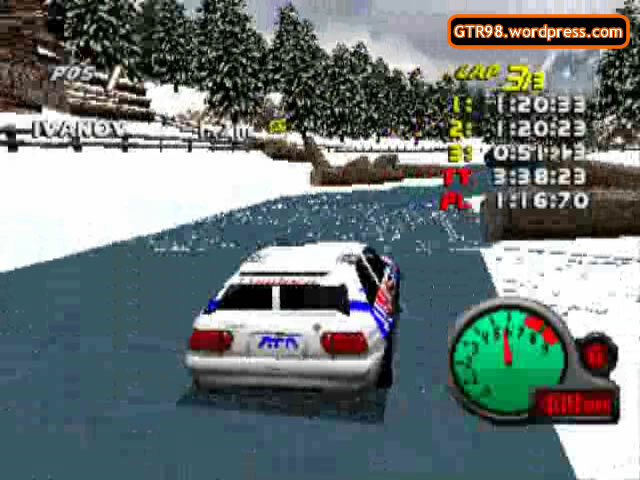 The snow puddles will cause cars to slow down. The log pile remains the only major roadblock. 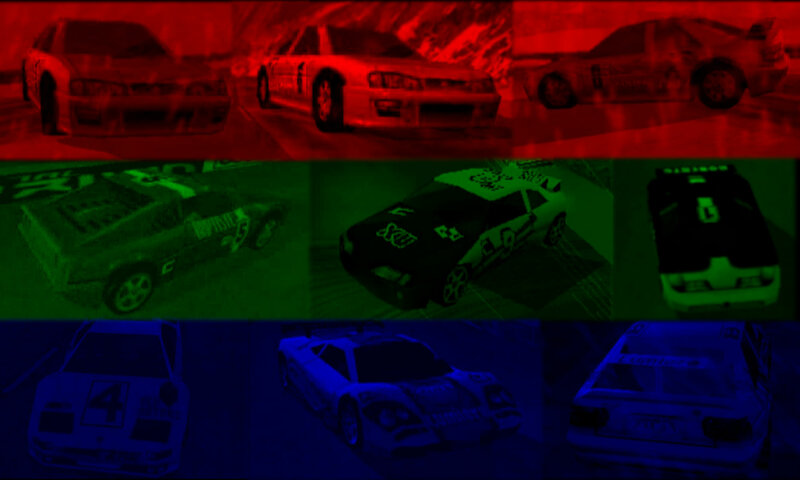 Easter Island 3 introduces Dakars on a track identical to Easter Island 1, but in the reverse direction. 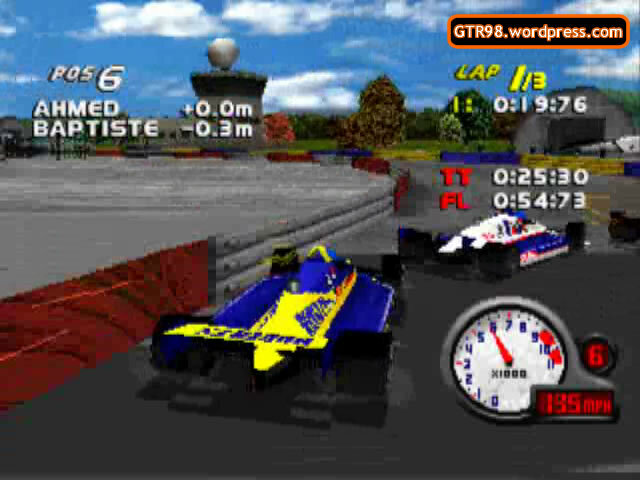 Moscow 3 introduces Indy cars on an identical track to Moscow 1. It takes place in the opposite direction in clear weather. This level can be played in the modes Split-Screen and Head-To-Head as Moscow A.